Our "New" Math...CTC Math Review and Giveaway! 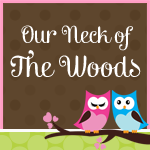 I'm working hard to catch you up on all that's been happening in "Our Neck of the Woods" lately! I thought I'd go ahead and get this one out there, since I'm actually hosting a Miss Manners party tomorrow! Not everything takes place at my home, though. I'm having an ice cream social for the girls at my parents' home tomorrow afternoon. Nancy hosted the Spring Miss Manners party at her house around Easter. As usual, it was precious! Simple vases of white carnations adorned the dining room table. I love these sweet decorations! They look like chocolate bunnies wrapped in foil. So cute. I think she said she got these a few years ago at Tuesday Morning. More "chocolate bunnies" in Easter grass in the centerpiece. White chargers hold clear glass plates which support the cute and colorful paper plates. The chargers came from Dollar Tree. Small mason jars with colorful paper straws and paper napkins cut into an Easter egg finish out each placesetting. Alternating napkin prints add color and design. Pretty enamel eggs finish out the centerpiece. Each girl had a colorful egg crate with candy filled eggs and fun socks, along with a sweet bunny tag and their name. A great idea for place cards! The candy bracelets were a huge hit! Nancy already had her house decorated for Easter, so she didn't have a lot more to do except set the table. Here are the decorations on her kitchen table. Most of our parties are held on Saturdays, but Nancy mixed it up a little by hosting a "brunch" immediately after church one Sunday morning. Tea biscuits with cheese or butter and jelly were an easy fix ahead of time. Nancy has quite a collection of bunny servers! Cinnamon rolls from Costco and Sister Schubert pigs-in-a-blanket were easy additions for a quick, but satisfying meal. Fruit is always popular with the girls. To round things out, she made a hashbrown breakfast casserole the day before. Of course the girls were already dressed for church, but we always encourage them to wear "party clothes". We are trying to teach them to dress for the occasion in an ever-increasingly casual world. It's fun to dress up! They were on their best behavior and exhibited excellent manners! We include young ladies from 1st-5th grades. While it's a wide age group, they all enjoy being together and the younger girls learn a lot from the older ones! We always remind them how to approach a buffet...we're not grazing! Take one of each (if you like it), then go back for more once everyone has gone through the line. We usually have a craft for after our meal and lesson. Nancy found these beautiful printables online. She included everything the girls needed to decorate the bunny and turn it into a door hanger. Are they sweet? Between Miss Manners and Summer Sewing School, these girls are pretty crafty! They enjoyed using glue dots and embellishments. Even though they had the same basic supplies, everyone's bunny looked different. A Sunday party was a nice change, and several of the moms took advantage of it and went to lunch together while we had their girls. Nancy and I are so proud of these young ladies and love working with them! I'm so glad you stopped by my neck of the woods! Please take a moment to sign up to receive new posts by email. I wouldn't want you to miss one crazy thing! Hi Missy! This "Miss Manners" brunch is so darn cute! Thanks for sharing the economical tips for setting a great table. I'm sure the girls loved it. I remember the "Miss Manners" newspaper columns and books...have you seen them? What an adorable party!!! You and Nancy are such a creative team! You're making a lasting impact on these girls' lives, teaching them etiquette and hospitality while building Godly relationships. They are going to remember these parties and recreate them for future generations. Oh, and those napkins cut into the shape of an egg....love! I'm going to copy that next Easter!